We set out on a journey to find out what makes people great. After over 160 interviews, we created the Filmroom Project to share it. It is a a growing collaborative that focuses on repurposing sport to develop character skills for life. 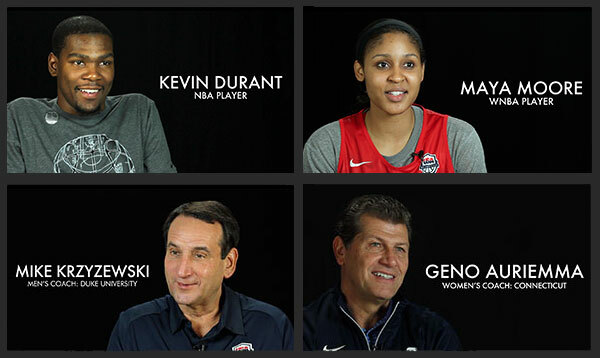 The interviews feature Championship Coaches (Coach K, Billy Donovan, etc), Professional Athletes (Kevin Durant, Kyrie Irving, Maya Moore, etc), Best-Selling authors and sports psychologists, giving you the opportunity to hear from the greatest players and minds talk about topics that really matter. Every training session starts with a Filmroom session. It’s a learning experience created to motivate and inspire our players with NBA players, college coaches, and leading researchers. When our players hear from people they look up to, it ignites the learning process. The sessions inspire the players to be more self-driven, while it provides the tools to build character skills for high performance.